OLD CHANG KEE IS SELLING NASI LEMAK CURRY PUFFS! HAVE YOU TRIED IT YET? 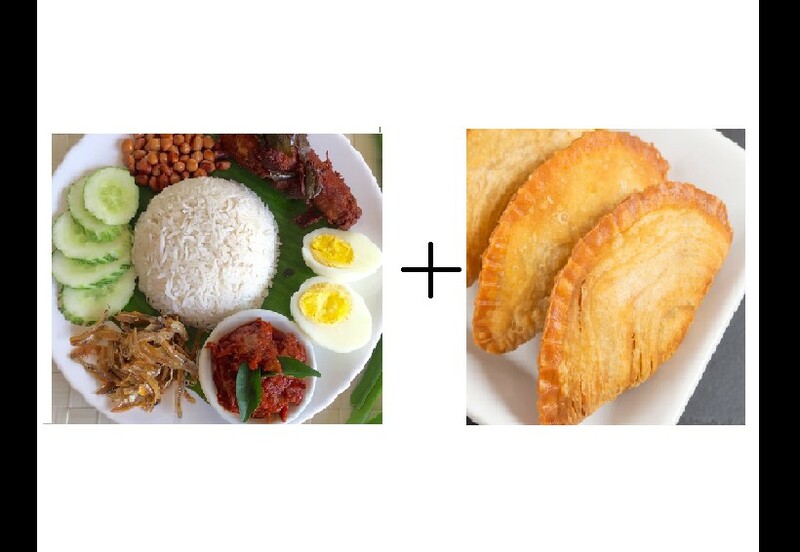 You are at:Home»Featured»OLD CHANG KEE IS SELLING NASI LEMAK CURRY PUFFS! HAVE YOU TRIED IT YET? From nasi lemak burger, nasi lemak lobster and all the way to nasi lemak condoms, is this the latest creation we did not ask for? Dubbed the Nasi Lemak Chicken ‘O, Old Chang Kee have decided to combine Singapore’s favourite midnight and snack into a bite sized puff that you can carry anywhere with you. The puffs contain chicken chunks mixed with sweet and savoury sambal, mixed with onions, anchovies (ikan bilis) and a slice of hard boiled egg, it sounds as if the puffs can barely contain all those ingredient. The puffs itself is coloured green, to complement the look of banana leaves of actual nasi lemak. However, do not be fooled that it has any coconut fragrant. It does not. Old Chang Kee is selling it for a price of $2 for 1, $3.50 for 2. Will you be trying this out? Previous ArticleNEA USING YOUNG ADULTS TO SUMMON UNSUSPECTING VIOLATORS! TAKE NOTE! Next Article NEW KIND OF TRAFFIC CAMERA??? DRIVERS TAKE NOTE!